This time of year as most of us are combatting the “Polar Vortex” of winter snow those who are smart enough to live, work and play in Phoenix are enjoying their favorite time of year. In the past year Phoenix has experienced one of the nations strongest real estate rebounds and in connection to it’s terrific lifestyle, many businesses are choosing to move to, or add offices in, the Phoenix metro area. 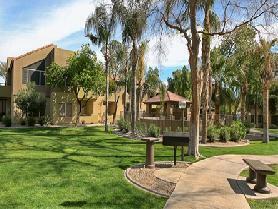 AvenueWest Phoenix combines both great real estate and great service to offer some terrific corporate housing monthly rentals. 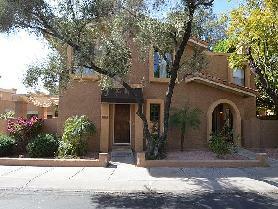 Enjoy South Mountain views at this beautiful community in Ahwatukee. Apartment is fully furnished with all of the amenities you need to call home. Spacious 2 bedroom, 2 bath, includes a separate living and dining room, fully equipped kitchen, pantry, full size washer and dryer, walk-in closets and a private balcony. The gated community features a fitness center, heated outdoor pools, spa, tennis court, clubhouse, and covered reserved parking. This is a perfect location that is close to everything you need – dining, shopping, hiking, biking, and easy freeway access. watukee. Apartment is fully furnished with all of the amenities you need to call home. Spacious 2 bedroom, 2 bath, includes a separate living and dining room, fully equipped kitchen, pantry, full size washer and dryer, walk-in closets and a private balcony. The gated community features a fitness center, heated outdoor pools, spa, tennis court, clubhouse, and covered reserved parking. This is a perfect location that is close to everything you need – dining, shopping, hiking, biking, and easy freeway access.